I feel like I blinked and Summer disappeared into Fall. It doesn’t help that Fashion Weeks and fashion conferences, like Lucky FABB and IFC, happen within what feels like minutes from one another. #TimeFlies. The crisp Fall air inherently takes me back to the feeling of a new school year starting. 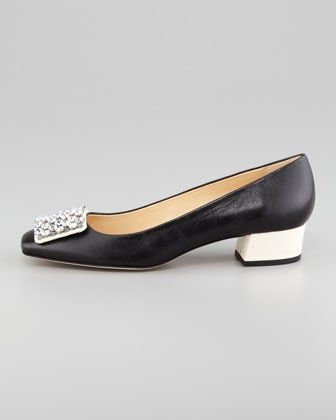 Granted my school days are long gone, I still can't help but feel like Kate Spade channeled my inner schoolgirl with these utterly adorable Mixer Heels. They are a really great alternative to my usual skyhigh platform heels. 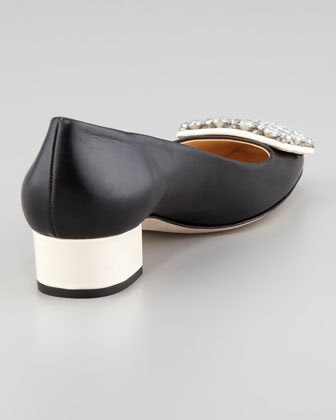 They have an incredibly low 1 ¼” heel but they are so fancy! 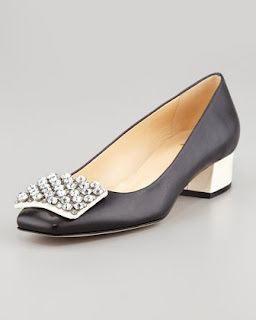 The jeweled buckle and two-toned covered heel make these anything but frumpy. A quick word about Ms. Spade’s sizing - it runs small, at least a half size if not a whole size. If given the opportunity, try them on before purchasing. 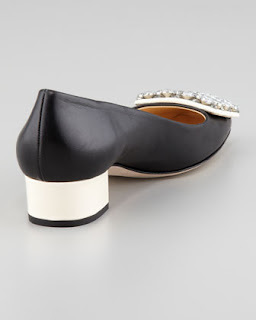 You will not be your usual size in any Kate Spade shoe. I’m not sure why, but they all run a bit more narrow even though they are labeled M width, which is just your regular shoe width. The combination of these two aspects make the Mixer Heels amazingly versatile for the office fashions. Not only do they style up your usual suits but they also jazz up your LBD’s and make your jeans work with that tailored white shirt to exude that effortless chic style that’s not always effortlessly attained. ;) Paired with black cigarette ankle length pants makes your figure as classic as your style. Who doesn’t love that? Lately i follow more and more Kate Spade goodies... they are just so lady like and wearable!